The third online shopping day--Online Friday will take place on the first Friday of December 2) with the participation of 3,000 busineses providing 200,000 promotional products. The largest online shopping day is expected to bring a chance for consumers to enjoy big sales within 24 hours offered by leading enterprises in the country, Samsung, Asus, Acer, Dell, HP, Microsoft, Maison, Hoang Phuc International,Lazada, Adayroi, Tiki, Sendo, Hotdeal, Zalora and more. 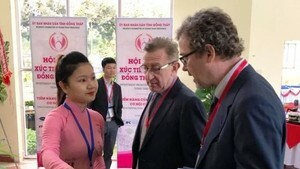 This year’s Omni channel retailers are big tradenames, such as The gioi di dong (Mobile World), Nguyen Kim, Vien Thong A, FPT Shop, Viettel store, Vincom’s shopping malls, Aeon malls. 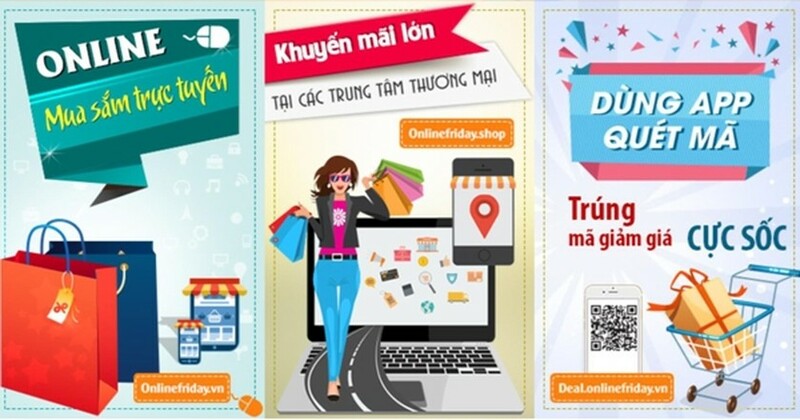 Buyers can access the site OnlineFriday.vn and http://deal.onlinefriday.vn to take part in the event. An offline event associated with online activities, BigOFF, will be organized in lake walking street in Hanoi on December 1-4. Consumers can shop and interact with businesses at the offline event with many unique promotions such as free shipping, discount shock, golden hour promotions, gifts and more.